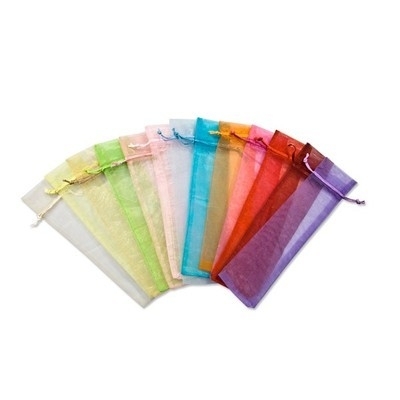 Beautiful organza favour bags for fans. Available in Gold, White, Ivory, Lilac & Pink, Dark Pink, Orange, Red, Silver & Green. Great for weddings, birthdays or even just to keep your fan in an elegant bag on hot sunny days! Use the organza favour bags to turn your fan into a lovely gift. Measure approx. 28 cm x 6 cm.